Minimal Dowload Strategy or MDS is a new feature in SharePoint 2013. By now, if you read this post, you already know about it. The simplest way to see if MDS is enabled on your site, you can recognize it on the “ugly” urls. I don’t think they are so ugly. But it is a matter of taste and habit. No matter if you like MDS or not, MDS is enabled on many site templates and is a huge step towards a faster, more responsive architecture in SharePoint, I would say, towards the Single Page Application concept in SharePoint (but it is a long way to go). 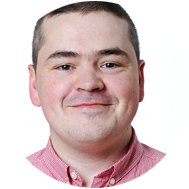 There he describes how JSLink works and how much you can change a standard XSLTListViewWebPart. Chris creates a jQuery UI Accordion view for his list view. As an issue he mentions the MDS. Here I want to take Chris’ code and adjust it for MDS. My goal is to change as little as possible to find the most important steps for MDS. So I’ll continue where he has finished. 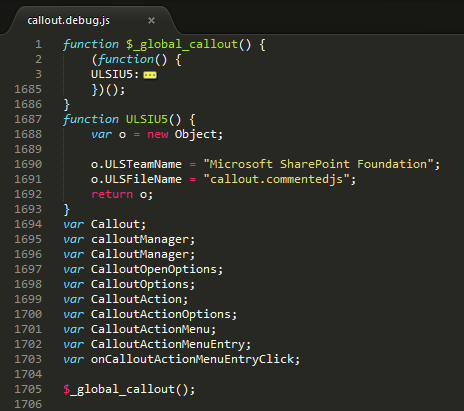 Here we have callout.js/callout.debug.js The function is called $_global and _ and the filename callout = $_global_callout. Then the function is invoked directly in the end of the file. It is a different story than the anonymous self executing funcitons we’ve seen before. 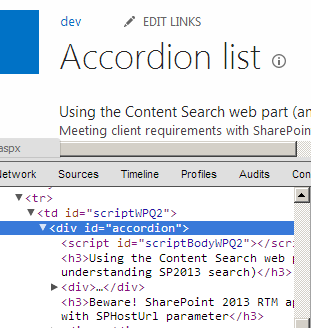 // function to process an accordion item..
// It seems SharePoint inserts a script tag in an inconvenient place that breaks jQuery UI's accordion, so let's remove it! // (N.B. further testing recommended for production).. When I deployed it, it worked… It doesn’t seem like it is the whole solution. It is too simple. Well, it is the solution for the Accordion List View. 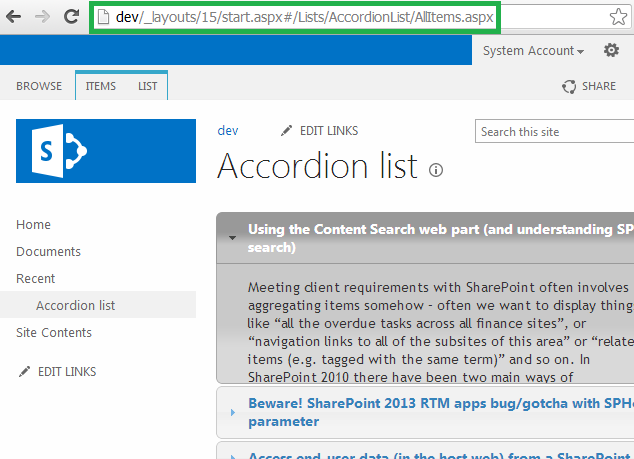 By putting the accordion initialization code into _spBodyOnLoadFunctionNames we ensure that SharePoint runs it even on pages with MDS. As the name tells us: OnLoad. This appends the code to the onload function which runs after the $(document).ready. It means the time before the text becomes an accordion is longer. 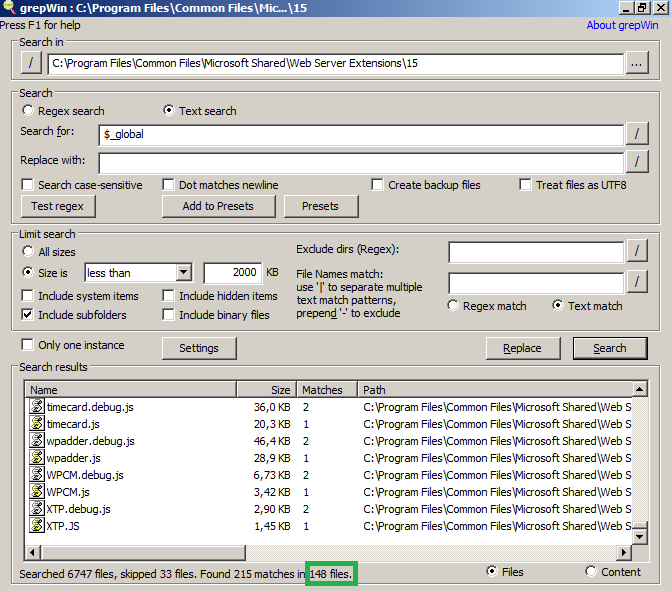 Register CSR-override on MDS enabled SharePoint 2013 site in the Sridhar’s blog on MSDN blogs. More investigation will be in part 2. Thanks to my colleagues Christopher, Björn and Martin for giving me tips and discussing it with me.